Hi Jason, just wondering if you were ever able to find a Tour de France lion stuffed animal? If so, would you mind sharing where you got it? Thanks! On another forum you wrote that steel is stronger than titanium. CP titanium is not as strong as Chrome molybdenum steel, but 6Al 4v is about 22% stronger than 4130. 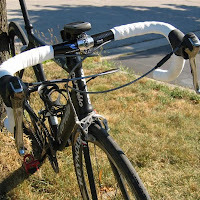 A nitrided Pino-Berhinger has at least 25% more tensile strength than a bike built-up from 531.